AUSTIN — After a few years of planning and restructuring, the Texas Education Agency is ready to issue the first report cards using the A through F accountability rating system to school districts across the state. On Wednesday, the agency’s new website, TXschools.org, will contain the first letter scores for only the school district level. Individual campuses will still receive the “Pass-Fail” ratings previously used, as well as a numeric grade of 100 possible points. Campuses are scheduled to first receive A-F scores on a “What If” basis at the end of the year, just like the preliminary scores received by districts in 2017. The full transition at the campus level will not happen until the fall of 2019 per state law. The new system is a product of House Bill 2804, which was approved during the 84th Legislative Session in 2015 and has since been in the works. Using letter grades that mimic those assigned to students’ school work, the A-F accountability system aims to simplify the performance levels for parents and other stakeholders who might not have fully understood the former “Met Standard” or “Improvement needed” rankings. The new grades will be A for Exemplary Performance; B for Recognized Performance, C for Acceptable Performance, D for In Need of Improvement, and F for Unacceptable Performance. Now, what is behind those grades is the design that took years to develop in order to allow for continuous improvement, he said. The agency evaluates performance in three areas, or domains; Student Achievement, School Performance and Closing the Gaps. Student Achievement measures student knowledge and is calculated using STAAR testing scores, graduation rates and students’ college, career and military readiness. In this domain, districts will be rated on all three indicators dividing each into percentages — 40 percent for STAAR testing, 20 for graduation rates, and 40 for college, career and military readiness. Individual campuses will only utilize all three indicators at the high school level, as graduation rates will not apply for elementary and middle school campuses. School Progress measures student academic growth over the course of the year. This domain also uses STAAR test results in the areas of reading and math to measure Academic Growth. It also weighs what TEA calls Relative Performance, which is defined by the agency as “credit awarded based on performance relative to similar districts or campuses.” The overall grade in this domain is calculated using the better outcome of the two areas, Academic Growth and Relative Performance. Closing the Gaps measures the performance of student groups, such as English Language Learners, economically disadvantaged status and special education. The groups’ performance is measured in four areas, Grade Level Performance, Academic Growth, English Language Proficiency and Student Achievement, and credit is awarded based on annual targets. Both Student Achievement and School Progress measure the average of all students and are weighed together for 70 percent of the total grade. Closing the Gaps measures the average of the student groups and is weighed at 30 percent of the total grade. Another side effect of this system, Morath said, is that it produces ratings that are not poverty correlated, referring to the perception that low-income areas will — by default — produce low-performing students. On Wednesday, the website containing all of the district grades will go live and all of the letter grades for school districts will be explained, as well as individual percentages on how districts faired on each individual indicator. And while the district will receive an overall A-F grade, separate A-F grades will also be assigned to each of the three individual domains, as well as breakdowns on how the district faired in each domain. Even though individual campuses will not officially receive a letter grade just yet, these will receive a grade number out of 100, which could be easily deduced considering an A equals grades between 90 and 100, B equals 80 through 90, C equals 70 through 80, and so forth, just like school grades. TEA has everything ready to assign “What if” grades to campuses based on these numbers, he said, but they must first undergo several steps and reviews to comply with the bill. These preliminary letter-grades should be ready by the end of the year. 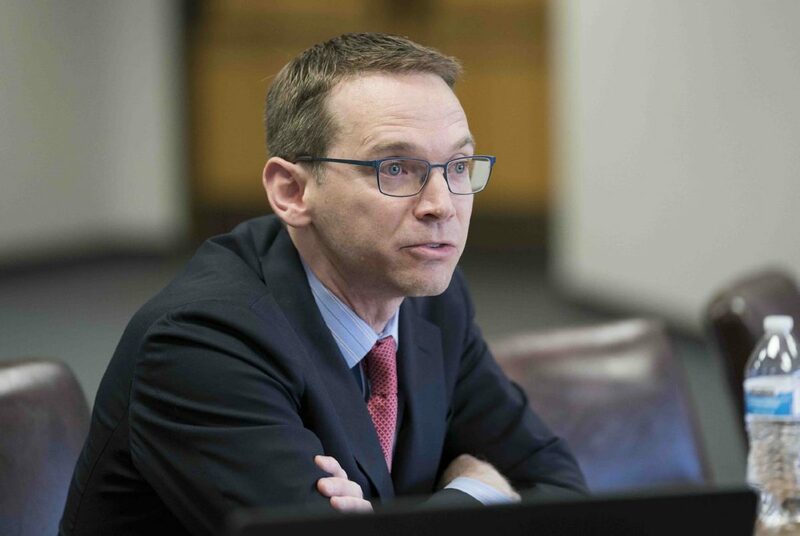 The new system is scheduled to be in place for at least five years, Morath said, as lawmakers asked for stability in the model to allow for fair evaluation of student achievement and improvement over the years. “If the system is constantly changing, it’s just more difficult to see that year-over-year comparison,” he said. It is yet unclear whether or not the agency will provide a simplifying tool through which districts, campuses and stakeholders can evaluate growth when compared to years prior to the A-F system, considering the former pass-fail system did not have some of the same indicators in place. In-depth data reflecting overall performance will be made available, however, for those with the time and skill to evaluate and compare outcomes to past years. For more information on the rating system, visit tea.texas.gov/A-F/.